Korkmaz-Agaoglu O, Ertugrul O. Assessment of genetic diversity, genetic relationship and bottleneck using microsatellites in some native Turkish goat breeds. Small Rum Res 2012; 105: 53–60. Yilmaz O, Kor A, Ertugrul M, Wilson RT. 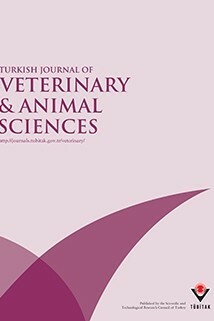 The domestic livestock resources of Turkey: goat breeds and types and their conservation status. Anim Genet Res 2012; 51: 105–116. TurkStat. Livestock Statistics. Ankara, Turkey: Turkish Statistical Institute; 2011. Arat S. In vitro conservation and preliminary molecular identification of some Turkish domestic animal genetic resources (TURKHAYGEN-1). In: Proceedings of the Eighth Global Conference on the Conservation of Animal Genetic Resources. Tekirdağ, Turkey; 2011. pp. 51–58. Andrabi SMH, Maxwell WMC. A review on reproductive biotechnologies for conservation of endangered mammalian species. Anim Reprod Sci 2007; 99: 223–243. Paramio MT. In vivo and in vitro embryo production in goats. Small Rum Res 2010; 89: 144–148. Beckers JF, Baril G, Vallet JC, Chupin D, Remy B, Saumande J. Are porcine follicle stimulating hormone antibodies associated with decreased superovulatory response in goat? Theriogenology 1990; 33: 192. Brebion P, Baril G, Cognie Y, Vallet JC. Embryo transfer in sheep and goats. Ann Zootech 1992; 41: 331–339. Holtz W. Recent developments in assisted reproduction in goats. Small Rumin Res 2005; 60: 95–110. McKelvey WAC, Robinson JJ, Aitken RP. A simplified technique for the transfer of ovine embryos by laparoscopy. Vet Rec 1985; 117: 492–494. Ishwar, AK, Memon MA. Embryo transfer in sheep and goats: a review. Small Rumin Res 1996; 19: 35–43. Pereira RJTA, Sohnrey B, Holtz W. Nonsurgical embryo collection in goats treated with prostaglandin F 2α and oxytocin. J Anim Sci 1998; 76: 360–363. Suyadi B, Sohnrey W, Holtz W. Transcervical embryo collection in Boer goats. Small Rumin Res 2000; 36: 195–200. Stringfellow DA, Seidel SM, editors. Manual of the International Embryo Transfer Society. Champaign, IL, USA: International Embryo Transfer Society; 1998. Baril G, Vallet JC. Time of ovulations in dairy goats induced to superovulate with porcine follicle stimulating hormone during and out of the breeding season. Theriogenology 1990; 34: 303–311. Pendleton RJ, Youngs CR, Rorie RW, Pool SH, Memon MA, Godke RA. Follicle stimulating hormone versus pregnant mare serum gonadotropin for superovulation of dairy goats. Small Rumin Res 1992; 8: 217–224. Baril B, Casamitjana P, Perrin J, Vallet JC. Embryo production, freezing and transfer in Angora, Alpine and Saanen goats. Reprod Domest Anim 1989; 24: 101–115.